This Saturday will see the completion of the line up of the Estonian selection as the second semi-final of the Eesti Laul will select the remaining finalists. Firstly, congratulations on making the semi-finals of this year’s competition. Being an international site, many of our readers won’t know much about Pür Müdd. 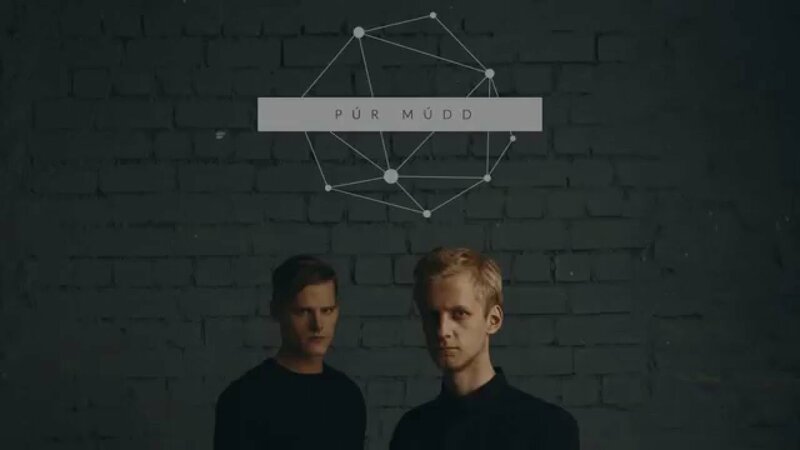 Can you tell us a little about the band, how long you have been together and what your career has been like up until now?, and how did you come up with the name Pür Müdd? “We are a very fresh Estonian electronic duo. We actually started in October and finished our first single a few days before submitting it to the Eesti Laul. Our name is a funny animal all together.. It derives from at least four languages including english, irish and slovakian. To us the name means a clean and thick atmosphere as a musical term. What made you decide to enter the Eesti Laul?, have you ever thought about entering before, has it always been an ambition, or did it just feel right for this song? And the song itself ‘Meet Halfway’, how would you describe it, is there a specific message in the song? Are you fans of Eurovision itself and if so do you have any favourite entries, either from Estonia or from any other country? And outside of Eurovision, what sort of music do you each like to listen to?, are there any bands or artists that have inspired you or helped to shape your sound? What would it mean to you to be able to represent Estonia? and What is your favourite thing about Estonia as a country?